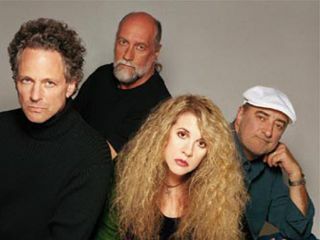 When we spoke with Lindsey Buckingham recently, he said 2009 was going to be a Fleetwood Mac year. Turns out, he wasn't kidding: the band have just announced their Unleashed greatest hits tour, which will kick off 1 March in Pittsburgh, Pennsylvania. "We love our band and think the title of the tour 'Unleashed' perfectly describes how we all feel when we get on stage together - especially in 2009," the band said in a joint statement. "We're so happy to get back out on the road, perform everyone's favorite songs and see our fans." The first 16 dates of the Unleashed tour will include stops in New York, Boston, Washington and Montreal, it was confirmed today by Live Nation, the tour's national promoter. Tickets for the Live Nation produced tour go on sale to the public on 15 December at Live Nation.com. American Express Cardmembers will have early access to tickets beginning 8 December at 10am US time through 14 December 14th at 10pm US at ticketmaster.com, excluding Uncasville, Ottawa and Montreal. American Express presale tickets for the Albany, NY show are available at http://www.tickets.com. In other Fleetwood Mac news, the iconic Rumours CD is scheduled to be re-released as part of a special CD/DVD boxed set on Reprise Records in conjunction with the tour dates. The boxed set will include previously unreleased tracks recorded during the making of Rumours as well as a DVD component with never before seen footage of the band. In the meantime, want a little taste of what to expect? Check out this stunning clip of Fleetwood Mac performing I'm So Afraid.